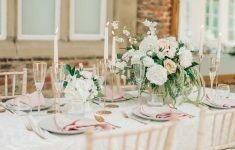 We’re delighted to bring you this contemporary editorial by Amanda Karen Photography, created and styled by Charlotte Nichols Weddings. 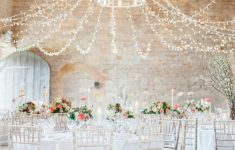 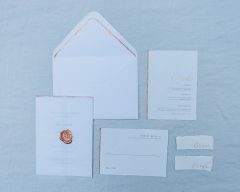 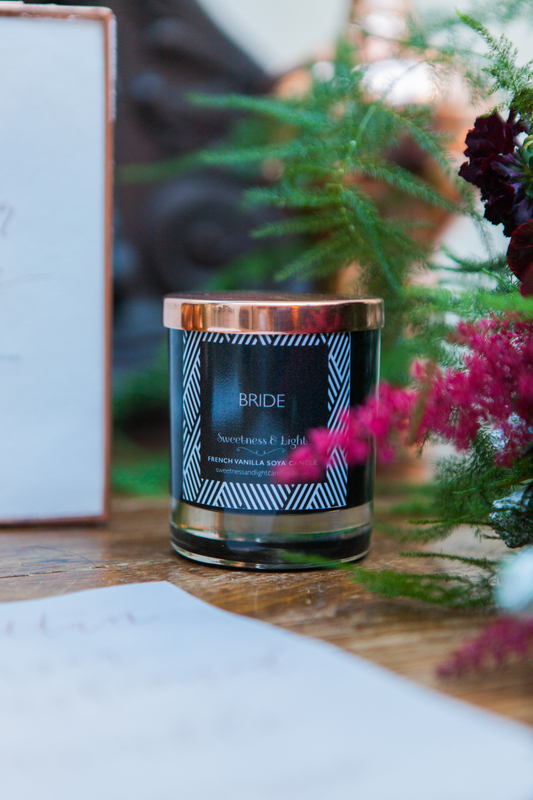 We loved the inspirations for a chic City wedding and the unique ideas and colours that they have created! 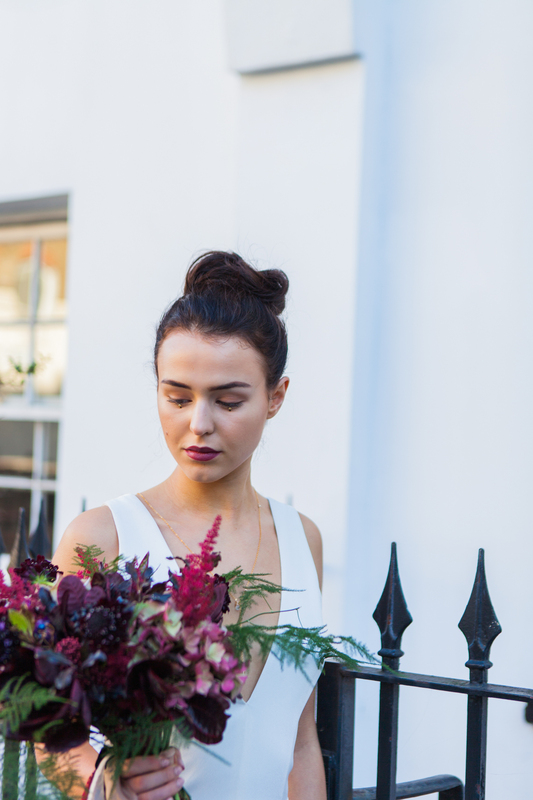 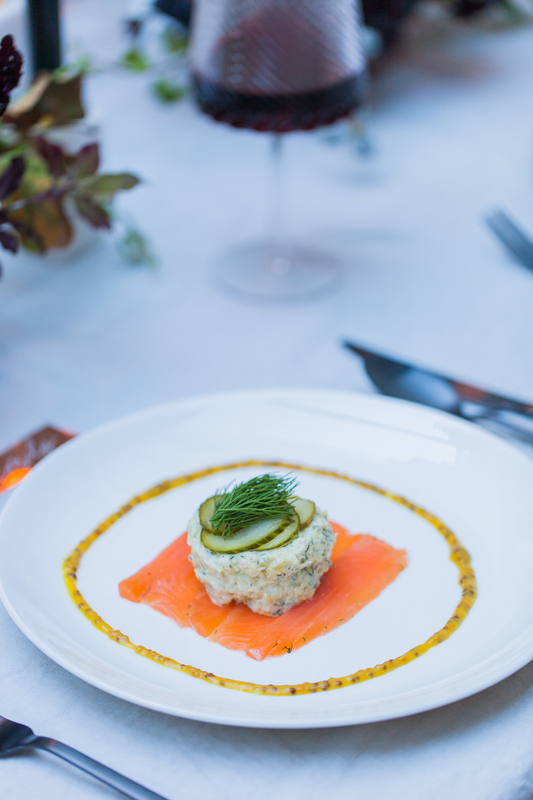 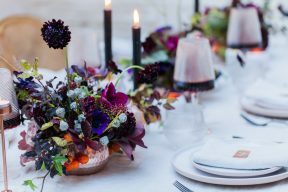 You’ll find beautiful flowers, a fabulous table setting and some really fashion forward bridal inspiration! 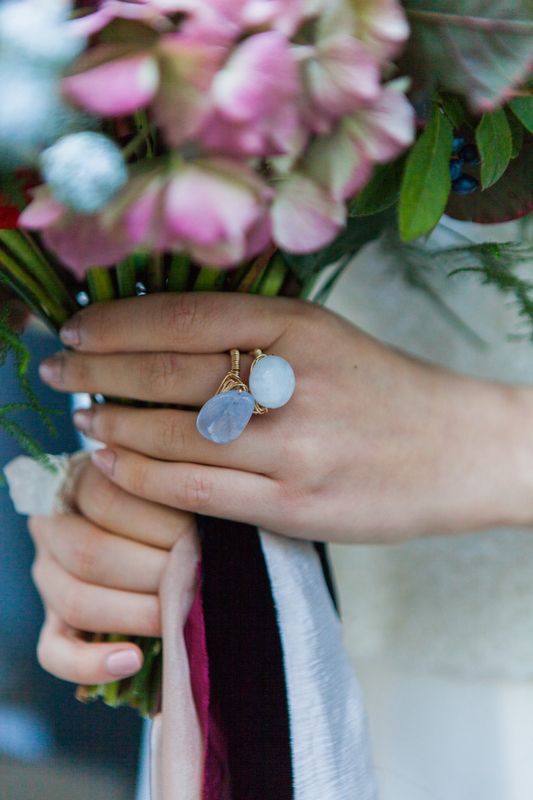 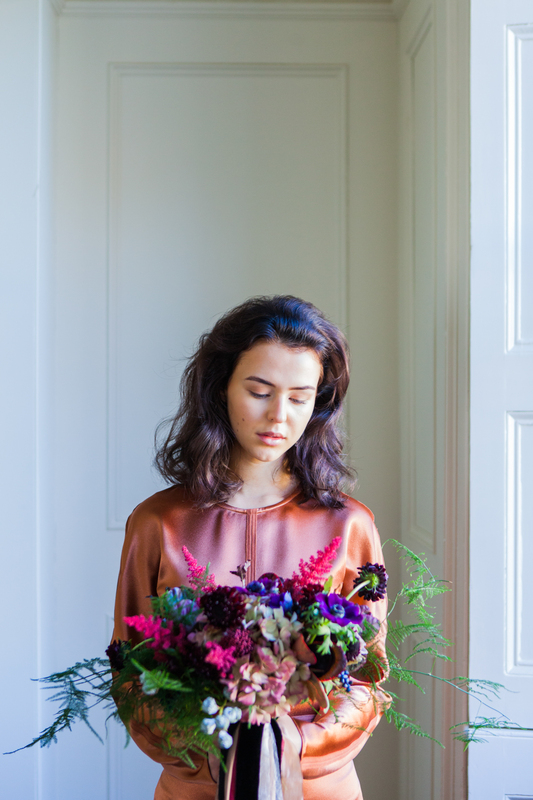 Charlotte tells us all about the details of these; “The concept of this editorial shoot is Moody Nordic Elegance. 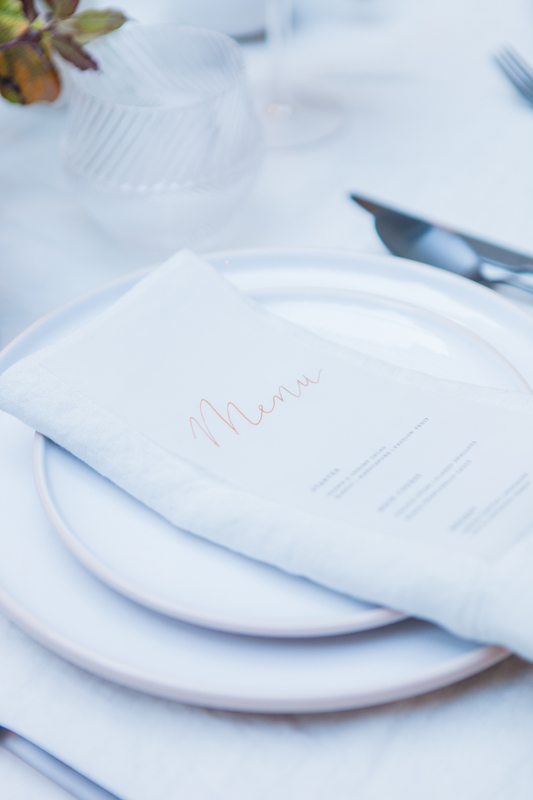 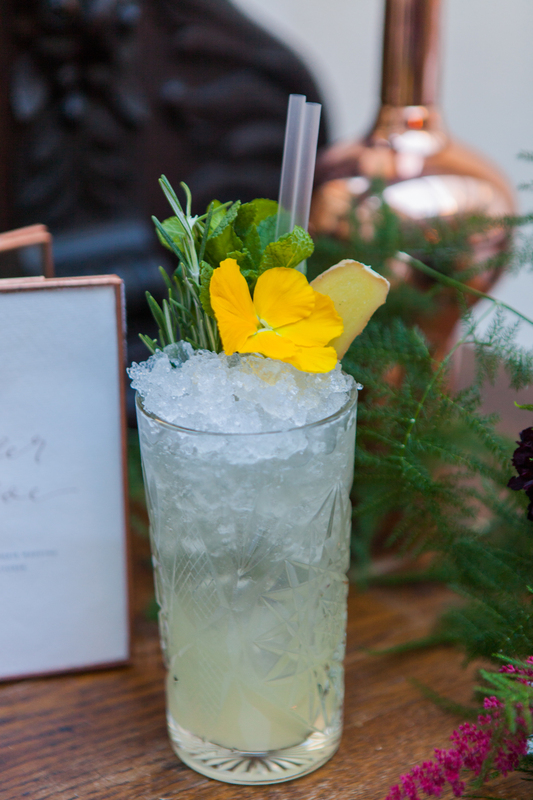 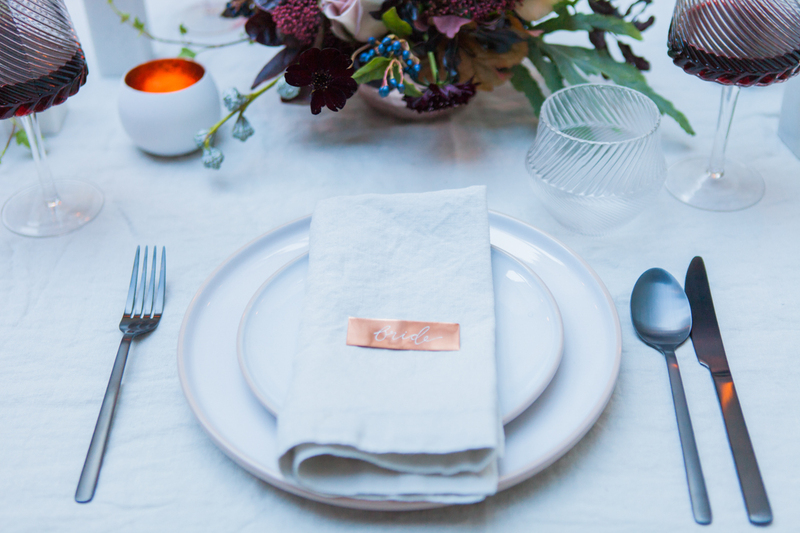 The styling is minimal and modern whilst giving a nod to the venues Scandinavian heritage and decor. 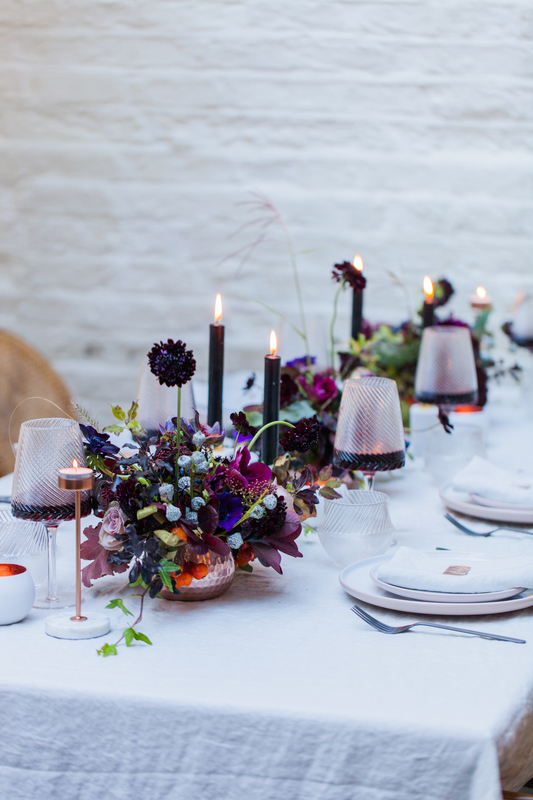 The wintery colour palette included a rich ‘tawny port’, softer shades of grey and ‘almost mauve’ and then subtle touches of black and copper for that really understated glam feel. 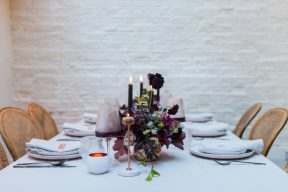 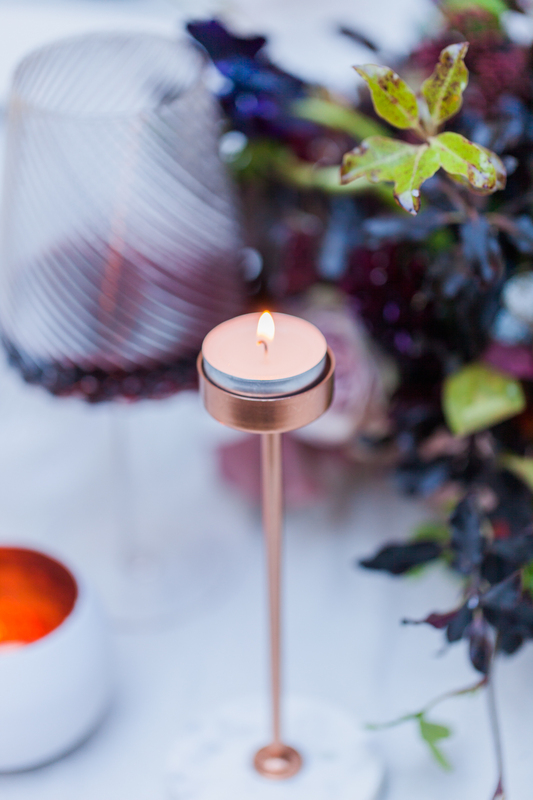 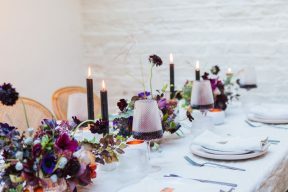 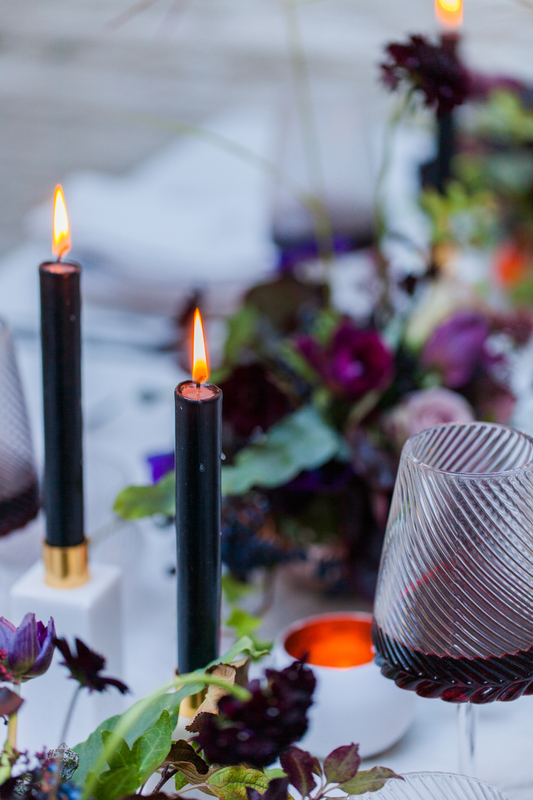 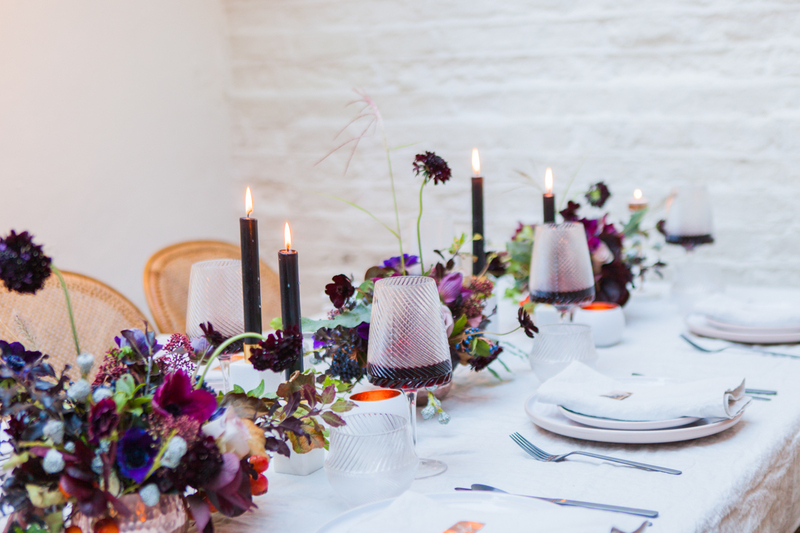 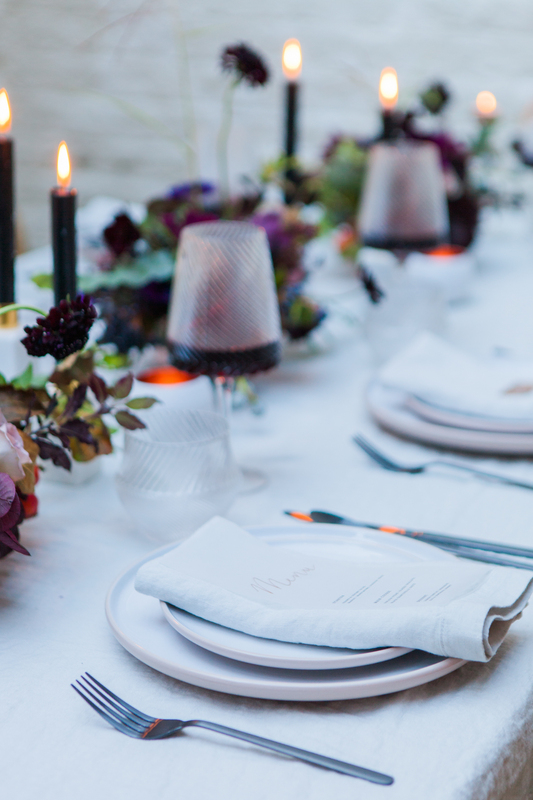 Standout details include a wonderfully bare yet romantic table setting that featured unusual cut glass, black candles in marble and copper candlesticks, black cutlery and gorgeous soft grey linens by Cox & Cox and The Linen Works. 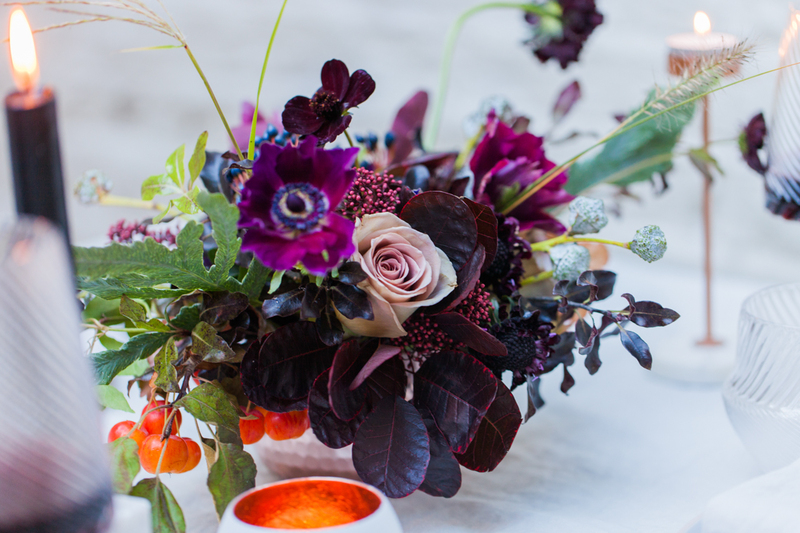 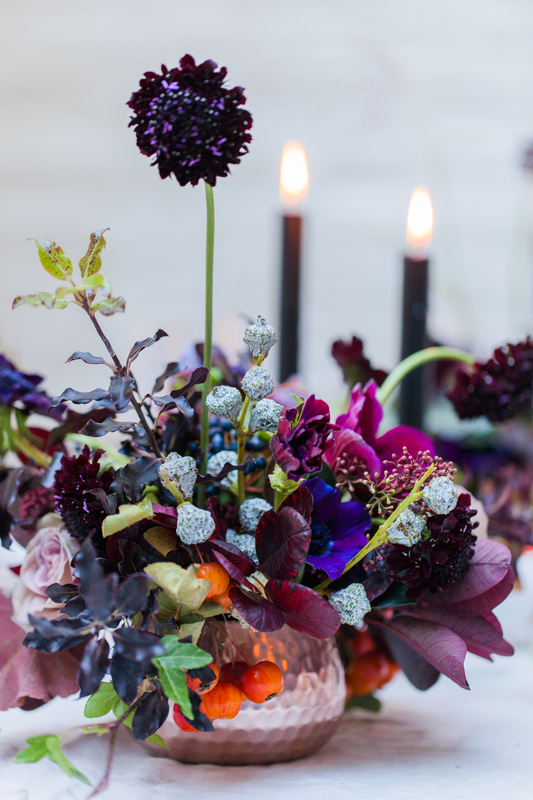 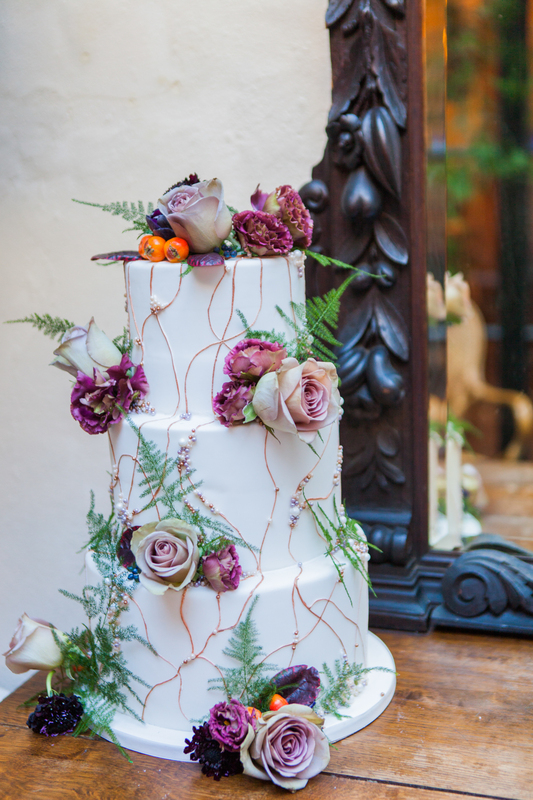 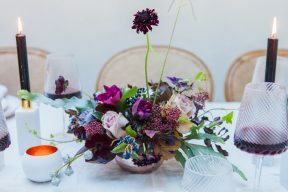 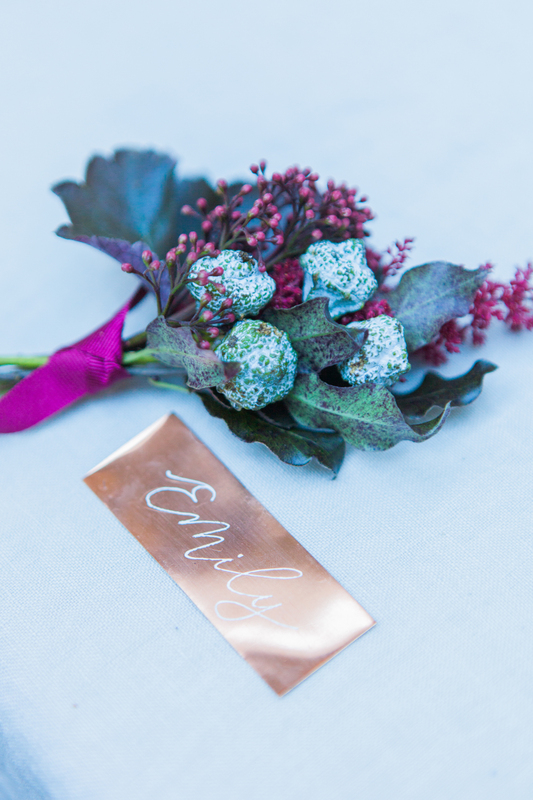 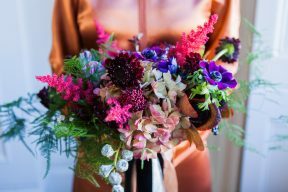 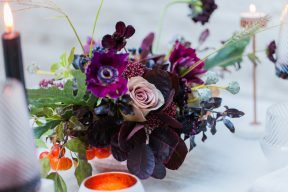 The florals really helped to bring the whole look together, created using rich burgundy blooms and lush foliage as well as some more unusual elements such as fruit and dried lunaria. 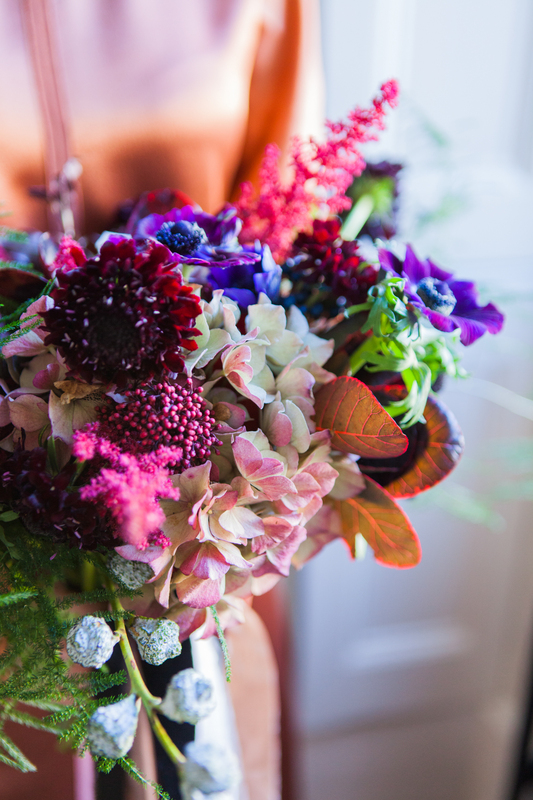 The combination of colours and textures helped to create the romantic yet unconventional feel. 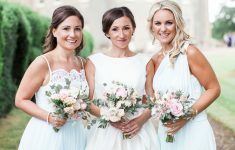 “Central to the shoot was the contemporary bridal styling which featured gowns by the luxury designer Charlie Brear. 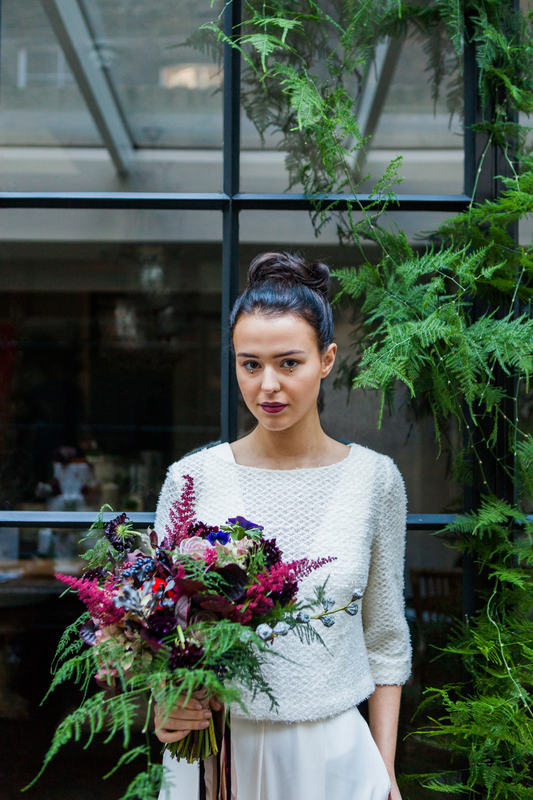 Intended for the wedding ceremony, our bride first wore an on-trend bridal jumpsuit accessorised with a wool jacket for a more casual and cosy look. 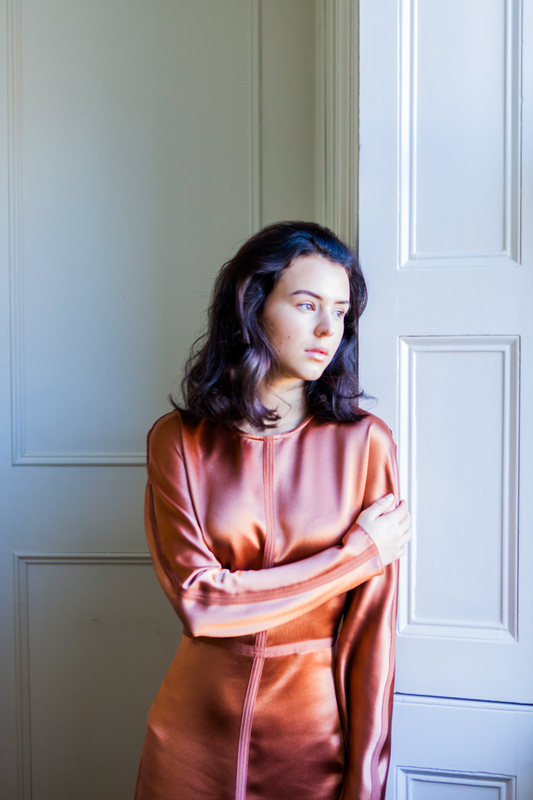 For the evening, and to compliment the shoots colour palette and modern, edgy feel, she changed into a gorgeous copper satin long sleeved dress. 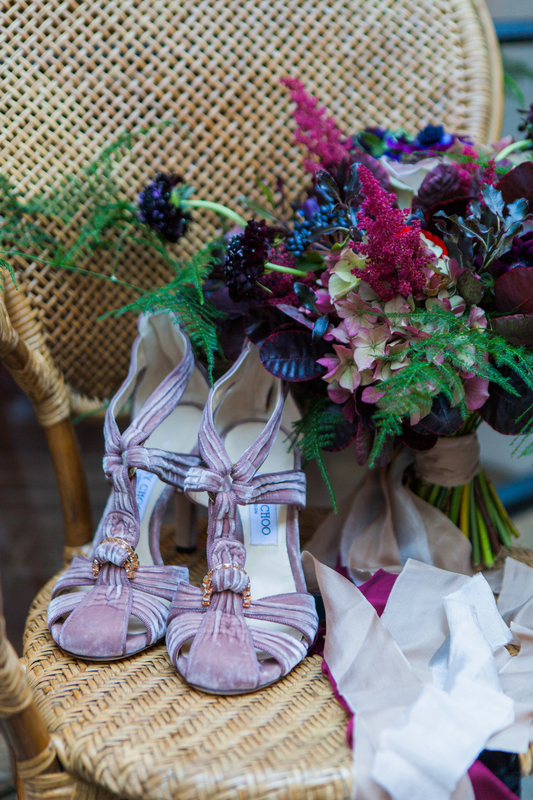 We also featured some gorgeous velvet embellished shoes by Jimmy Choo for an alternative bridal look and working so well with the luxe winter vibes. With the copper dress, our model wore a pair of black party open toe heels to complement the look. 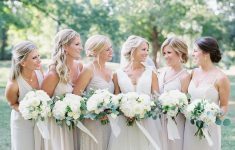 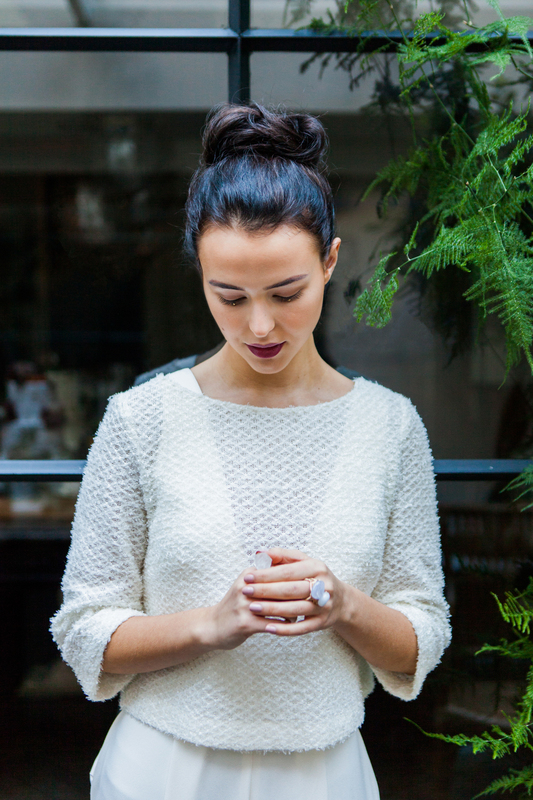 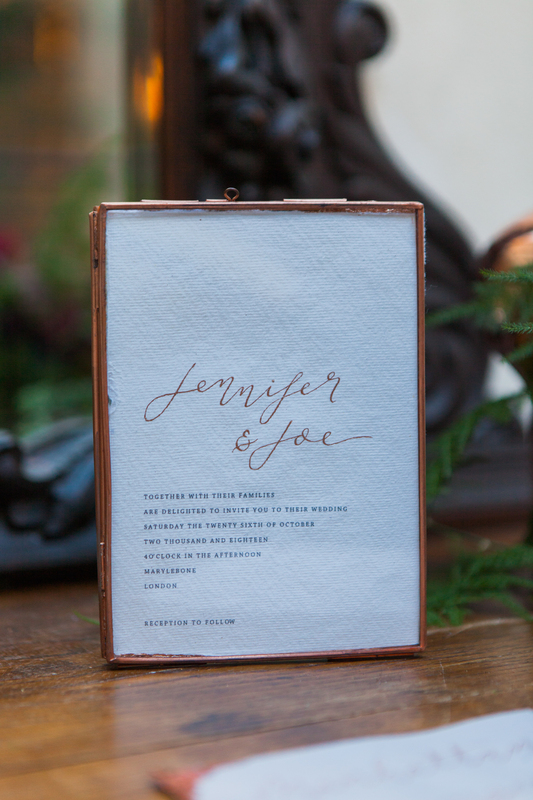 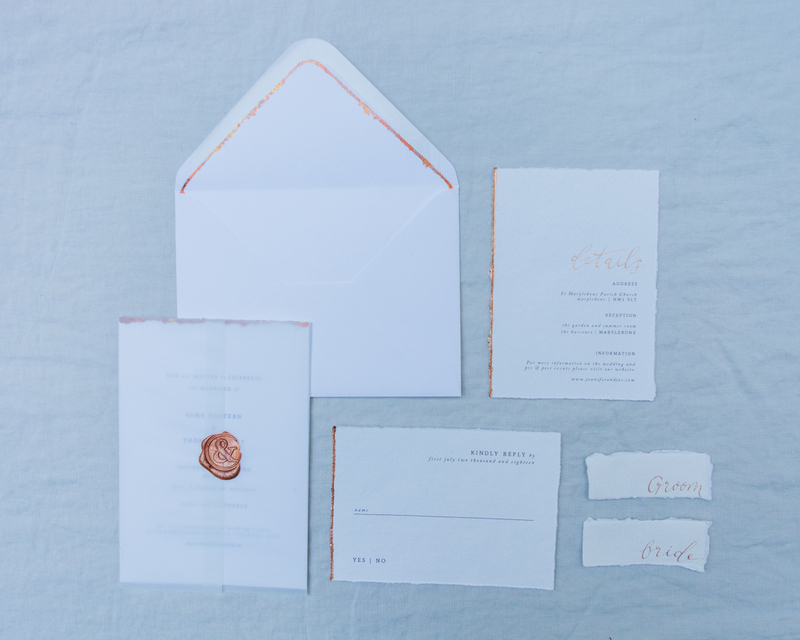 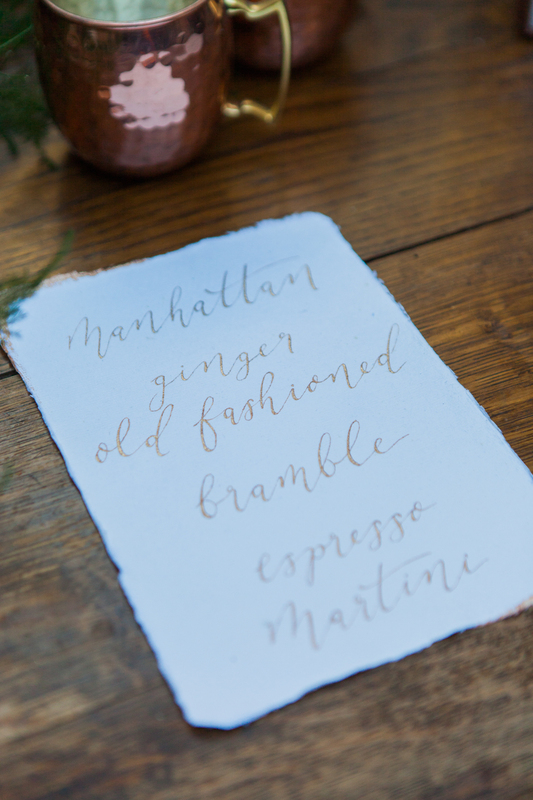 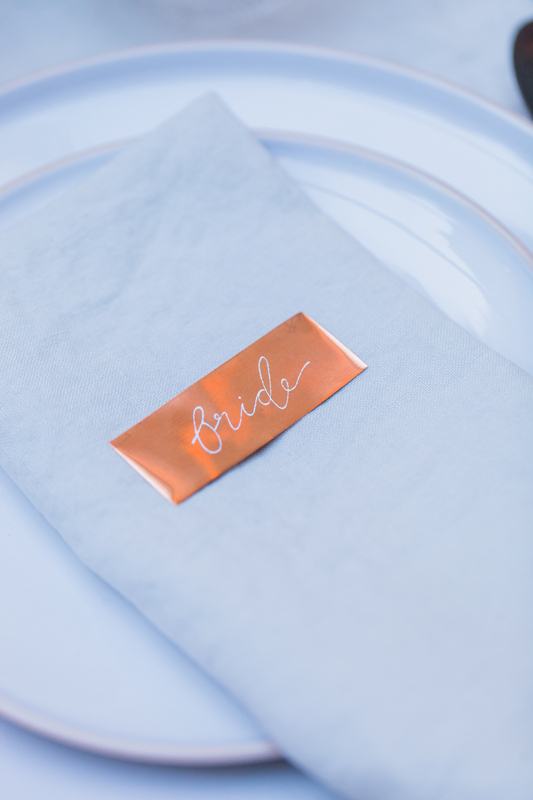 See the top 10 must see stylish wedding features from BLOVED!